Let me state first off that I know relatively little about My Little Pony. My sister had some of the toys when we were kids, but beyond that I only have a vague awareness of modern TV show that seems to be so popular with certain people (aka “Bronies“). 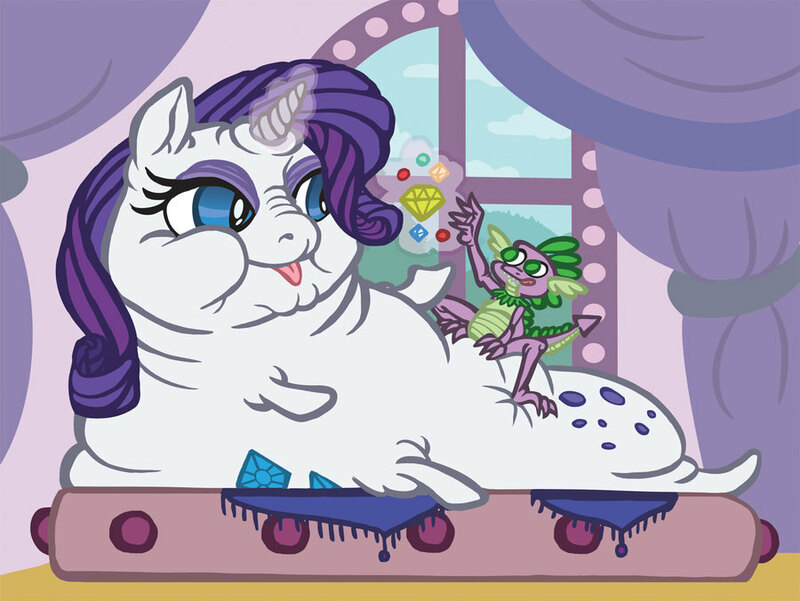 But from what I can tell, this print by Unicorntopia on Etsy depicts the pony named Rarity as Jabba the Hutt, with her friend Spike apparently taking on the role of Salacious Crumb. I love mashups like these since they can be pretty absurd, and it’s hard to get much more absurd than this. 🙂 It’s an 8.5 x 11 print, and the price is quite reasonable, I must say.